Wireless is beginning its next generation. This time the wireless industry is not only transforming itself, once again, but it is also changing other industries as well, as they use it in new ways to reach and interact with customers. Wireless is ground zero of the next revolution. It has always been one of our fastest growing industries. Going forward, that growth will change and expand. As we look forward, we can see how the wireless industry is the center of the universe. It is the core technology that will not only continue to transform itself, but it will help other industries transform and grow in new ways. As an industry, wireless is always looking ahead. It takes time to strategize then build the infrastructure to deliver tomorrows services. Example, remember when the iPhone and Android first hit the marketplace eleven years ago. There were only a few hundred apps used by Blackberry and Palm. That exploded to more than two million apps today. I have been a wireless analyst and columnist for decades. I have watched and followed the growth and change in this exciting industry time and time again. I have helped many executives and companies see the changes that are coming. Major change happens on an ongoing basis but are separated by a block of years. Every few years something major transforms everything. We are about to experience another major shift. Competitors are preparing. Are we ready? This is an important question whether you are a competitor, worker, executive or investor. And this time around wireless is expanding into other industries as well. Wireless, as an industry has seen rapid growth and change over the last several decades. Remember when back in the 1980’s cell phones had to be installed in the dashboard of our car, or the 1990’s when they became transportable starting with the brick phone in the early 1990’s to the StarTac hand held device at the end of that decade. The 1990’s saw the digital upgrade of the wireless networks and handsets from the analog past. We saw the app market explode from a few hundred apps one decade ago to more than two million today. Yesterday’s leaders gave way to tomorrows leaders. We saw Motorola give way to Nokia and Blackberry. Then we saw them give way to iPhone and Android. We’ve watched countless smaller, regional wireless networks consolidate to a smaller handful of larger networks AT&T Mobility, Verizon Wireless, T-Mobile and Sprint and several smaller networks like US Cellular, C Spire Wireless and more. This is where we have been for the last decade. The wireless industry has been a place of exciting change and growth. However, that same level of change and transformation continues. So, what’s next? Now the wireless industry is expanding and changing once again. The traditional wireless space will always be around and todays leaders, both networks and smartphones will likely remain leaders if they can stay on track. However, there are new parts of this wireless story as it expands in several new directions. That’s one important thing to be aware of. Wireless is no longer just about the traditional wireless space. Wireless is expanding into other chapters. And other industries are using wireless to usher in a new growth wave themselves. Google is active in wireless. They are in all three sectors, the Android sector, the smartphone sector and the services sector. However, they are only very successful in one of three sectors, Android. Their Android smartphone system is licensed to a variety of smartphone makers like Samsung. Their Pixel smartphone and Project Fi wireless service as not yet as successful. Project Fi is an MVNO which resells both T-Mobile and Sprint. Comcast is a cable television company, which has entered the wireless industry with their Xfinity Mobile product. They are an MVNO and they resell Verizon Wireless. This seems to be successful for them, although the strategy is different than the major competitors. They are not looking at wireless as a growth play. Instead, they are looking at wireless as a part of their bundle to create a sticky customer and it seems to be working. Charter is another cable TV company and they are getting ready to launch their similar wireless service, potentially called Spectrum Mobile. They too will be an MVNO and resell Verizon Wireless. The thought is they will take the same marketing approach as Comcast Xfinity Mobile. I expect they could be as successful as Comcast if they take all the right steps. Altice is yet another cable TV provider and they too will enter wireless next year. They be an MVNO and resell Sprint wireless services. I expect they will take the same strategy as Comcast and Charter. So, all three of these cable TV companies are moving into wireless, but they are not becoming the same kind of competitors as AT&T, Verizon, T-Mobile or Sprint. They are using wireless as a way to solidify their relationships with their customers and created a sticky customer. There are also plenty of other companies and industries I see as having their eyes on the wireless sector for future growth. These are companies like Facebook, Amazon.com and more. So much of their business is conducted over wireless smartphones that this is a natural next step. In addition, this expansion will fuel both new companies and new technologies in many industries. We have seen many industries are very actively moving into the wireless industry. Industries like automotive, healthcare, retail, social networks, e-commerce and so much more. Companies like Siyata Mobile, which offer PTT or push-to-talk devices which companies love, and which are perfect for the new FirstNet buildout. 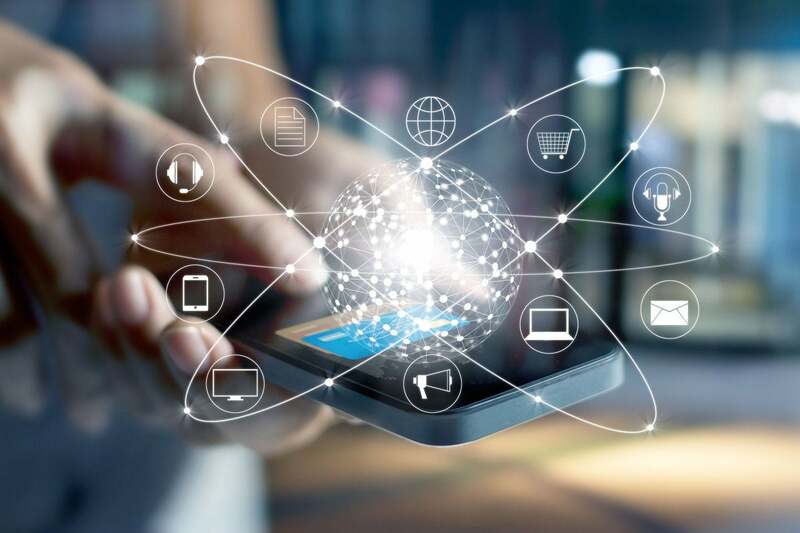 Companies like Synchronoss Technologies, which help wireless carriers manage the flow of data and information and better serve their customers making them more competitive in the marketplace. So, as you can see, wireless continues to grow and to expand. Wireless will continue on its current path with networks and services and handsets. However, wireless will also continue to expand into new companies and new industries. Consider how industry after industry sees wireless as a new frontier for growth. How company after company see’s wireless as a new growth opportunity. How new ideas and new thinking will help propel wireless forward. Traditional wireless players will always continue to grow during this transformation. And new frontiers will continue to be created. Remember, the wireless handset business has reinvented itself several times over the last several decades. That is a message to both leaders of today and those who want to become leaders tomorrow. Remember, Motorola led until they missed. Then Nokia and Blackberry took the lead until the iPhone and Android entered the scene. Today, Nokia, Blackberry and Motorola are down to the bottom of the wireless smartphone list. This kind of cut throat industry transformation can be expected to continue and will now expand to other industries. This has happened several times over the last several decades and it will continue. Which companies and technologies will lead for the next generation of wireless? That’s the exciting part. No one knows yet. The economy continues to change and to grow and wireless, as an industry, is the key to pulling all of this together. It will be the nervous system to transformation in wireless, other industries, smart cities, AI, IoT, cloud and so much more. The good news is wireless will continue to grow, transform and benefit from all this transformation. The bad news is it’s too early to tell which technology, products, industries and companies will lead. But that’s the way the wireless industry has always been.